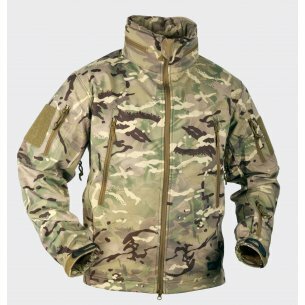 The experience of the Helikon-Tex company resulted in the creation of several variants of wind-blocker winter jackets, which differ in many aspects, allowing the purchase of a jacket tailored to our needs. It is a softshell jacket, lightweight, made of a three-layer Shark Skin material, lined inside with a fleece of high mechanical resistance. 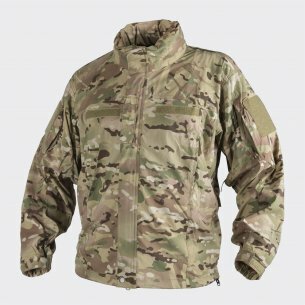 This construction allows to maintain a high degree of protection against cold and moisture, while maintaining high breathability of the material. In addition, the Gunfighter model is coated with Teflon coating, which protects against water and dirt. 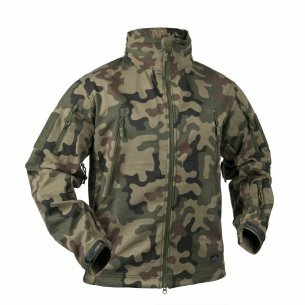 Its cut is modeled on jackets used in the army, it is equipped with two zippered chest pockets, inside which there are pullers to adjust the hood, which allows you to do this without taking your hands out of your pocket. 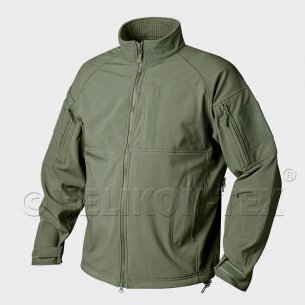 In addition, in the jacket you will find a large pocket fastened with a double-sided zipper on the back, one pocket on the top of the sleeve (there are Velcro on the distinctions), a pocket at the bottom of the left sleeve and an inside pocket. Adjustable welts on the sleeves and at the bottom of the jacket allow you to adjust to our dimensions. 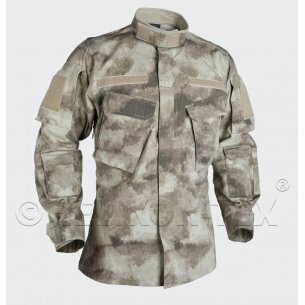 The gunfighter jacket is available in a variety of colors from military camouflage to grenade and black. Softshell jacket with a membrane protecting against wind and rain, while ensuring good breathability of the material. It is equipped with the same pocket and puller system as the Gunfighter model, but it is a model primarily intended for police services. In the pockets on the chest there are organizers, and a d-ring, which allows you to attach various types of items. Special glands were installed in the sleeves to install the cabling. 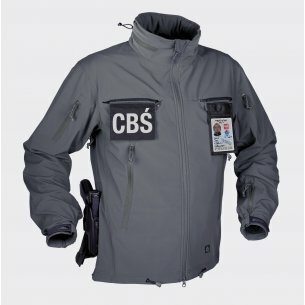 The jacket is equipped with three hidden Velcro panels (Velcro) allowing you to put on and take off business signs depending on your needs. 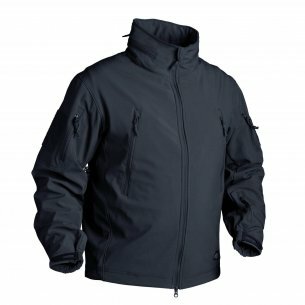 The main adjustment to the police work of this jacket, however, is the Quick Side Access system, a system of zip fasteners, allowing you to take your holster from a holster to secretly wear without removing the jacket, just unclipping one zipper. Thanks to this, it is an excellent police jacket, which will work great as an officer's clothing in the criminal department, but it will also work in security services (especially VIP protection), and for people who wear firearms on a daily basis (eg for personal protection). Available in several shades of gray, navy blue and Coyote color (dark beige beige). 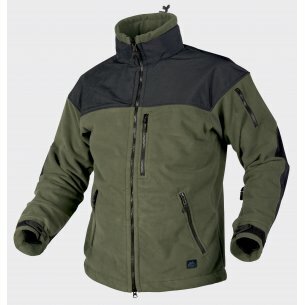 High quality fleece jacket, made of material resistant to mechanical damage and wiping. It has two classic pockets on the bottom of the body and one on the chest, and one pocket at the bottom of the left sleeve. In addition, reinforcements from high-strength CORDURY are sewn into the elbows and arms, which will ensure that the sweatshirt can be used for a very long time. 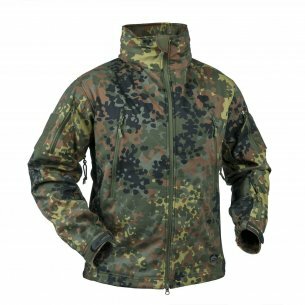 It is perfect for both shooting competitions, ASG matches and for trips to the bosom of nature, providing thermal comfort without fear of material durability. It is available in Olive Green and black. 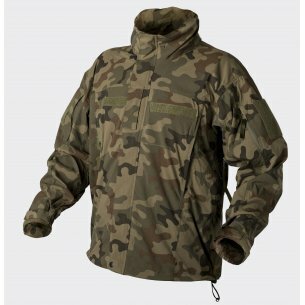 As you can see, the Windblocker jackets in their variants can prove themselves in every application. 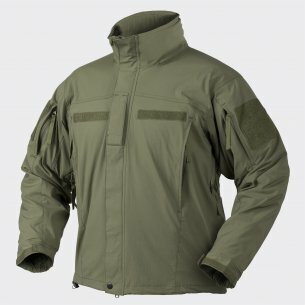 All Helikon-Tex tactical jackets described above can be purchased in our store.